We know that collecting water quality data can be challenging. 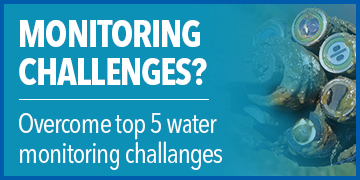 We spoke to several of our customers, and together, we have identified the top 5 challenges that one may face when collecting water quality data. We address each of these challenges head on. With the expertise of our very own product manager’s and technical support team, we will share how to deal with and avoid these typical frustrations and how new industry technology can help tackle these big issues. Don’t worry, you are not alone, we want to help. Continual repair and maintenance costs eating up your budget? Wondering why field instruments can't last longer? Collecting water quality data can be expensive. Maintaining and repairing equipment costs can rack up quickly over time. Aging instruments face a number of issues. Some of the common ones are stainless corrosion, bent or broken pins, wiper failure and/or faulty cables. So what are we doing to address some of these issues? Improved wet-mate connectors and cables. YSI products, such as EXO, use wet-mate connectors and cables. 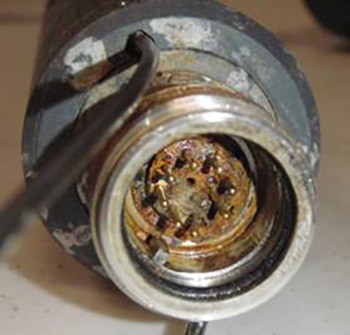 Wet-mate connectors and cables have been used for a long time in harsher oceanographic applications, but now can be found as an out of the box feature on a lot of standard water quality instruments. The obvious benefit to these types of connectors/cables is that they are impervious to moisture while you are connecting them, but additional benefits are advancements in integral strain relief and Kevlar materials. What does this mean? It means, the cables are now stronger and can hold more weight, while the integrated strain relief takes additional pressure off the wet-mate connector – ultimately giving you a much more durable and rugged cable. Advancements in material science. Advancements in material sciences has led to many manufacturers moving away from PVC and stainless steel sensors due to the challenges in the operating environment. New materials that hold up really well in applications such as salt water, for example, polymers or titanium, are being introduced as a new sensor technology because they really increase the durability of the overall sensor as well as address some of the flooding issues that can occur with sensors. Keeping your sensors clean. For years, various manufacturers have been experimenting with different ways to keep sensors clean. Stepped bulk-heads or central wiper systems have been used to help minimize biofouling. Over the past decade various technologies have been introduced into the industry to help reduce biofouling. Technologies such as copper based materials, pump or flow thru systems, chemical injunctions, shutter systems and wipers. The longer you can keep something clean, the less you have to maintain it. The less you have to maintain, the less you have to spend to maintain it. Factory Preventative Service Program. Make sure your manufacturer offers this. A Factory Preventative Service Program will help you reduce your overall repair costs. Often you can purchase 5 years of preventative service up front and then build that into the capital cost of the equipment, helping you regulate your repair costs going forward. Some programs may also include things like a replacement pH membrane or a dissolved oxygen cap on an annual basis. Be sure to inquire with your manufacturer exactly what their program includes. YSI offers a Sonde Maintenance Program and a Factory Service Plan in addition to our best-in-class Technical Support. The second major issue is uncertainty. Quite simply, uncertainty with future project requirements, legislation and with aging monitoring equipment. There are a lot of outside forces that can affect monitoring programs, and one main force is legislation. New regulations can change monitoring requirements in an instant, increasing your workload, and potentially requiring the purchase of new equipment. For instance, in the past few years, the US EPA has rolled out a national initiative for nutrient reduction. In response, a lot of groups are now being asked to monitor nitrate and phosphorus levels, which they may not have done before. While examining human impacts on our waterways is definitely a valid policy, it’s unexpected projects like this that may make monitoring programs cringe. Groups have to become flexible to take on this challenge, which requires flexible technology. Problem is… flexibility with older technology isn’t quite so easy to come by. How long can groups feasibly continue to use monitoring equipment and software that was developed potentially more than 20 years ago? It’s more difficult than ever to simply connect and pull data from older instruments. As consumer electronics rush forward with new operating systems, hardware, and communication options, it’s a challenge to even stay compatible these days with older systems. Also, quite a bit of aging equipment depends on outdated processors and memory. You can’t even buy most of this anymore as a consumer. 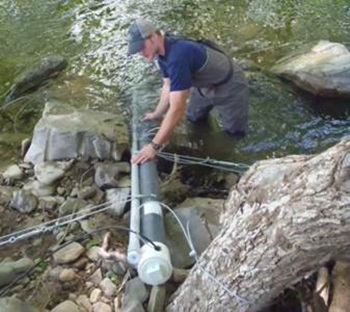 The good news is that there have been big strides made toward improving the flexibility of continuous water quality monitoring equipment in recent years. The main focus of product development has shifted to modularity and providing users the ability to create customizable sensor configurations and to quickly, easily access and process data. Rigid instruments are becoming a thing of the past. Look for versatile equipment that can be used in an array of applications, whether that’s profiling a lake or long-term monitoring in an estuary. If you need to monitor dissolved oxygen, temperature, and algae concentrations this season, and pH, turbidity, and ammonia levels next season, then you should really only need one piece of equipment. Dozens of application-specific instruments are now being consolidated into one or two systems that are a jack-of-all-trades style instrument. Purchasing monitoring equipment is an investment; make sure it pays off by supporting your varying needs over the next 5-10 years. Is it able to spot sample if needed? Can you leave it out unattended for a period of time? Is it possible to consolidate it as part of a larger monitoring network with a buoyed system? Can you access the data when you need it? Are sensors user-replaceable and interchangeable? Also, to make your data more accessible, look for equipment with built-in Bluetooth and the ability to easily connect to a computer via a USB connection for cable-free calibrations. A great example of a piece of instrumentation that does this is the EXO sonde. Flexibility is also available with handheld instrumentation like the ProDSS. Quality assurance can become automated, because smart sensors contain microprocessors. When you plug in the sensor, it starts working and compares its factory calibration with the user calibration to check for compliance. For some, these programs are part of their Standard Operating Procedure (SOP), and now even easier to adhere to. Budgets and resources are being reduced so how can you be more efficient with what you have? Unfortunately, the instrumentation and water quality monitoring equipment itself may not address this challenge. 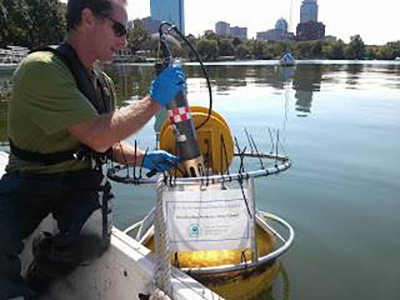 Instrumentation can be expensive, but newer technology has been able to introduce efficiencies into the water quality monitoring process. These efficiencies can add up, and ultimately reduce overall costs and quite possibly change how your SOPs are currently run. These can be calibrated in the lab, and then installed in the field, without any need for a handheld or laptop at the field site. Instead of swapping out entire systems, now you simply need a spare set of sensors. The cost of a smart sensor upfront may be more expensive than older sensors; however, replacing the consumable portion of the sensor, such as a DO cap (rather than an entire sensor) is much less expensive over a 5 year period. Typically, if you have multiple pH sensors to calibrate, you have to calibrate each one separately, and many SOPs require you to wash the reagents down the drain after each calibration. With smart sensor technology, you can take 2-6 pH sensors, put them in a single instrument and calibrate all of the sensors together in a single pour of standard. 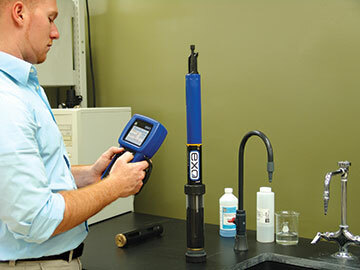 What are the advantages of calibrating multiple pH sensors together? You will quickly be able to identify if there is an error with your probe because they can be compared to one another. You will significantly reduce reagent usage. Calibration response time happens much more quickly with smart sensors – saving you time. The key takeaway here is to remember that with newer technologies, the up-front cost may be higher than instruments you have used in the past, however, these newer technologies ultimately provide efficiencies that save you money and time over the course of ownership. 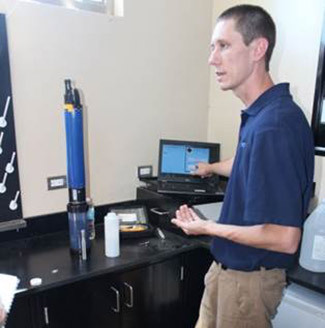 Let’s be honest here – water quality instrumentation can be incredibly tricky to learn to use all of the features. This is apparent after seeing a product manual, most of which are 200+ pages. Older technology often times takes years of hands-on experience to fully understand and that knowledge frequently resides with one or two employees. This is a huge problem with monitoring programs because it makes cross training employees incredibly challenging, and workforces become much more inflexible. Additionally, as more experienced employees change jobs or retire, the subtle tips and tricks they’ve learned with equipment over the years is lost, and fresh faces are expected to somehow fill that knowledge gap. The great news is that in the past few years the significant learning curve for instrumentation has been addressed in many ways by some manufacturers. When you’re making an investment into monitoring equipment, look for products that have simple, intuitive software that can guide employees through difficult processes like sensor calibration. Also, ensure that the devices are “plug and play” to prevent any issues with configuration and set up, and look for software with built-in quality checks to make sure if an error does occur, that you’re warned before heading into the field. We also suggest searching the YSI Video Hub for videos about the equipment you may be interested in. YSI has an extensive list of videos on the Video Hub and YouTube to help you be successful in your water quality monitoring efforts, from product overviews to simple “how to” videos, and ordering guides. It’s good to know what resources are available to you after you make a purchase. If they’re offered, web tutorials are great assets that can help new employees get a head start on learning to use more advanced instruments. If you don’t mind traveling, most manufacturers also offer free factory trainings where customers can get more hands-on and interact with application engineers and technical support staff. You can check out manufacturers’ websites or ask sales reps to see if they offer trainings before making a purchase. YSI also offers online website chat to help answer questions quickly. YSI also offers two highly praised video courses for FREE. We encourage you to use these after you purchase either a sonde or ProDSS instrument as part of the product support or you could even watch the videos to learn about the porduct prior to purchasing in order to see how to use them! Visit YSI EXO University or YSI ProDSS University.